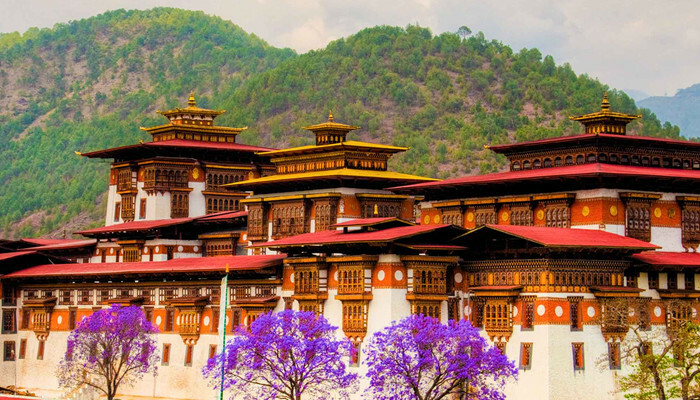 Best Tour of Bhutan showcases the diverse Bhutanese landscape and the rich vibrant culture of the kingdom that calls itself the Land of the Thunder Dragon. 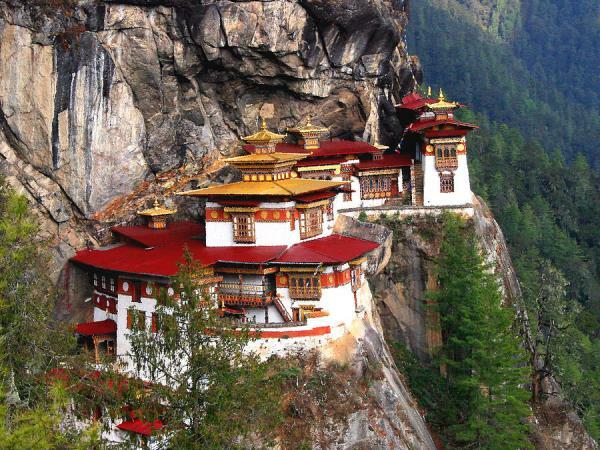 The 10-day trip combines touring well-known landmarks in Paro, Punakha and Thimphu and gaining some hiking experience by walking in the country’s most spectacular landscapes including the famous Taktsang (Tiger’s Nest) Monastery. 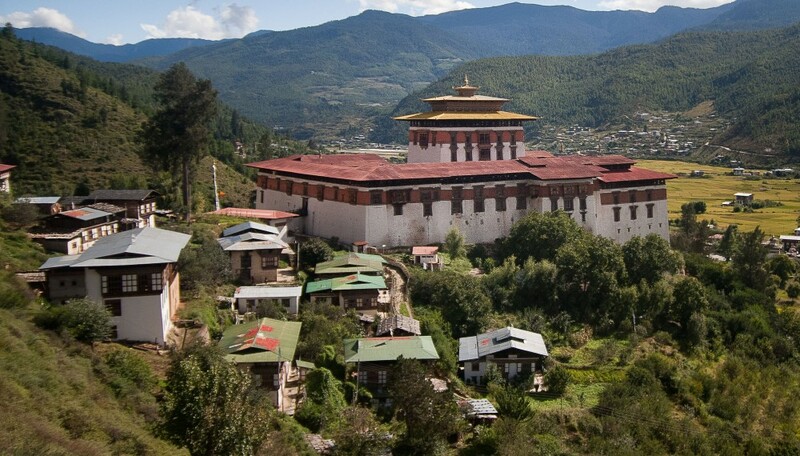 Our next stop will be Bumthang, also believed to be the religious heartland of Bhutan and home to some of its oldest Buddhist temples and monasteries. One of the must-see landmarks of the region is the Jambey Lhakhang, a temple built in 659 A.D. by the Tibetan king Songtsen Gampo. 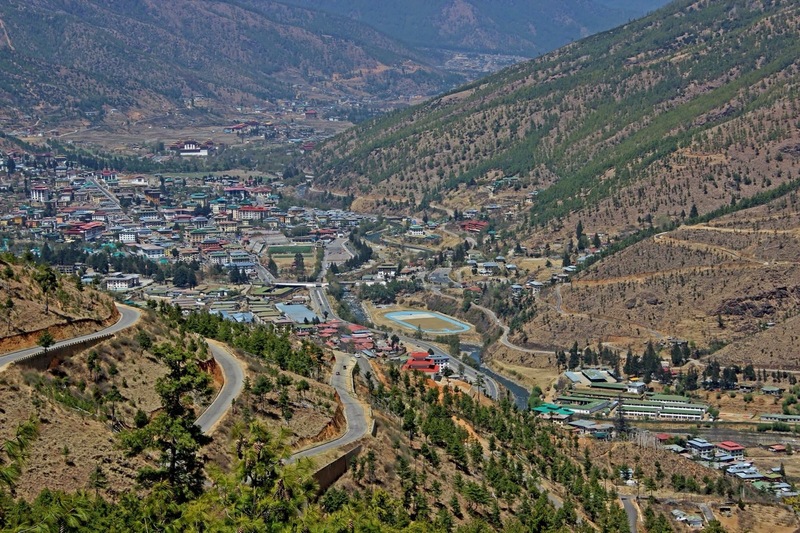 In Wangdue we appreciate the beauty of Phobjikha Valley and the beautiful slate and stone carvings of the area. We drive via Dochu La pass to Paro and end our Cultural Heartlands of Bhutan tour with a hike to the much revered Tiger’s Nest Monastery the next day. As your flight nears Bhutan, you can enjoy amazing views of the Himalayas including the sacred Chomolhari and Jichu Drake peaks. At the airport, you will be greeted by a representative from Himalayan Glacier who will take you to your hotel in Thimphu for a good night's sleep. 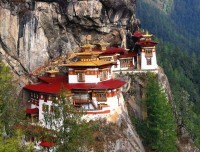 However, if your flight arrives early and you want to visit a few places in Thimphu then it can be arranged too. Overnight in Thimphu. In the morning, we visit Memorial Chorten (built in memory of the third King of Bhutan who reigned from 1952-1972), nunnery temple, mini zoo to see Takin, the national animal of Bhutan. Today, we also visit other landmarks of Thimphu including the National Institute of Traditional Medicine, Bhutanese traditional painting school, folk heritage museum, the majestic Tashichho Dzong and the traditional paper factory. However, some of the landmarks are closed in the weekends (Saturdays and Sundays). Therefore, if we are in Thimphu during the weekends, we explore the Weekend Market instead. Overnight in Thimphu. After breakfast, we drive to Punakha via Dochu La Pass (3,100m), where on a clear day we get spectacular views of the Himalayas. Next, we drive downhill through rhododendron, fir and hemlock forests. On the way, we visit Chimi Lhakhang, a fertility temple dedicated to the Divine Madman or Lama Drukpa Kuenley. After reaching Punakha, we also visit Punakha Dzong which was built between 1637-1638 and is the second oldest and the second largest dzong in Bhutan. Overnight in Punakha. Today we visit the attractive Khansum Yulley Namgyal Chorten which is perched on the top of a foothill and provides outstanding views of the Punakha Valley. Blessed with temperate climate and natural drainage, Punakha valley is the primary crops and fruits producing region in Bhutan. Today, we also visit Ritsha village which is considered as a model rice growing village in western Bhutan and enjoy the local farmers lifestyle and the amazing landscape of rice fields. Overnight in Punakha. After an early breakfast, we drive to Bumthang, the cultural heartland of Bhutan. The route is along a spectacular winding road, crossing 3,300-meter-high Pele La pass. There is even a chance of spotting yaks on the trail at certain times of a year. We stop in Trongsa for lunch. After which we visit Trongsa Dzong, a masterpiece in Bhutanese architecture. Then, we proceed to Bumthang through lush valleys and hilly forests. Along the way we stop at a yathra (textile weaving) factory, where the yathras are designed with patterns unique to Bumthang, and we can even watch some of the weavers at their looms. Overnight in Bumthang. 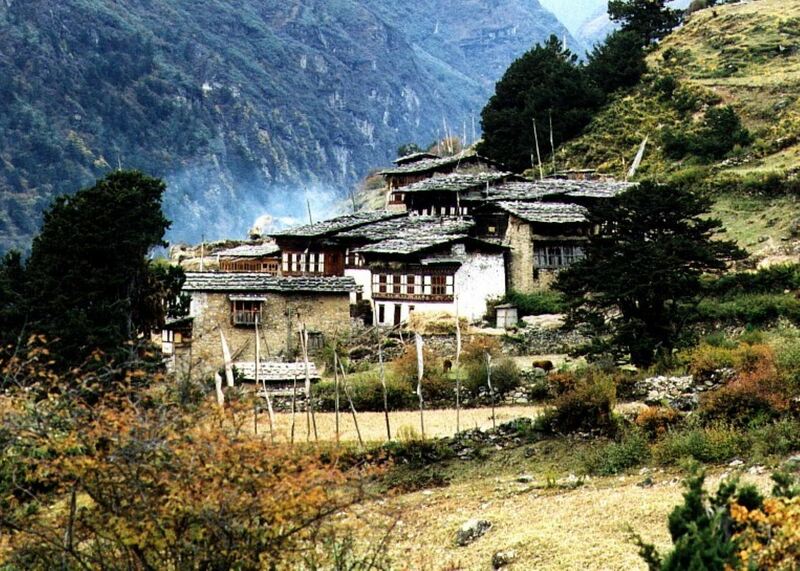 Bumthang is a deeply spiritual region of Bhutan and is shrouded in religious legends. Today we visit several temples (Lhakhangs) like Jambay, Kurje and Tamshing. While here we also visit Jakar Dzong which was built in the 15th century as a monastery and the very famous Wangdichholing Dzong which was constructed as a private residence in 1857 for Trongsa Penlop Jigme Namgyel, a legendary Bhutanese warrior. The dzong (then a palace) was also the birthplace of the first King of Bhutan. Overnight in Bumthang. We begin the day by touring Bumthang market then drive to Wangdue. With its diverse climate and rich natural resources Wangdue is home to many rare and exotic animals like Red Panda, Tiger and Leopard. There are also a large numbers of rare birds such as the Black Necked Crane, White-Bellied Heron and the Spotted Eagle. One of the most notable sites in the district is Phobjikha Valley. This valley is the habitat of rare and endangered Black Necked Cranes that roost there during their annual migrations. Villages in Wangdue are also known for their slate and stone carvings which we get to admire during our visit. Overnight in Wangdue. This morning we return to Paro via Dochula Pass. On the way, we visit Chimi Lhakhang, which is a fertility temple dedicated to Divine Madman or Lama Drukpa Kuenley. We stop for lunch at Dochula pass. Here, we visit the new Druk Wangyal Monastery, which is the one of its kind in the country with elaborate paintings depicting the lineage of the present monarchy and their visionary works. 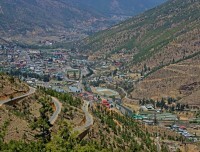 We continue our drive to Paro. The evening will be free for us to explore the town. Overnight in Paro. After breakfast, we hike for 4 -5 hours to Taktsang (Tiger's Nest) Monastery, which is Bhutan's most famous monastery situated at 3,180 meters. Guru Rinpoche (spiritual master) is said to have flown on the back of a tigress to meditate in a cave where Taktsang Monastery now stands. Lunch will be served in the Cafeteria Restaurant, located about halfway up the mountain. 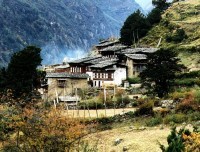 After having explored the monastery, we hike down to the valley floor and return back to Paro for an overnight stay. Druk Air generally departs in the early morning to avoid adverse weather conditions. Therefore, after having breakfast, we will be transferred to the airport depending on the flight schedule. Accommodation in 3 star standard hotel on twin sharing basis. Full-board meals - breakfast, lunch, dinner, tea & snacks. Private Luxurious transportation throughout the tour. 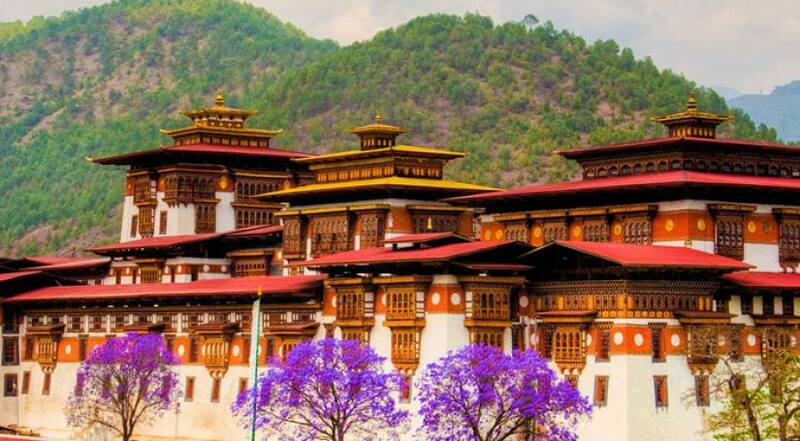 Hotels in Bhutan are approved and classified by the government as grade A, B and C. These government approved hotels are equivalent to 3-4 star hotels elsewhere. Based on availability at the time of booking, you will be accommodated in A grade hotels in Paro and Thimpu and B grade hotel in the rest of the places we stay. We use Hotel Amodhara in Thimphu, Meri Puensum Resort in Punakha and Hotel Peling in Bumthang and Mandala Resort in Paro. All accommodations are on a twin-shared basis. If you want the luxury accommodation of 5 star then contact us for cost detail.